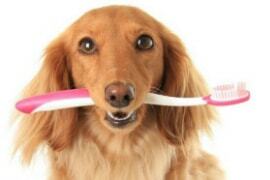 Dental care is just as important for our pets as it is for ourselves. We have several articles on this in the resources link on our website. Can you imagine what your mouth would be like if you never brushed, flossed or did anything to clean your teeth and gums? Not many people like to brush their dog’s teeth, and unless started at an early age, not many dogs enjoy it either. Fortunately, there are other options to take care of your pets oral hygiene, and we can go over all of them with you here at My Pet’s Vet, and help you make the best dental care choice for you and your pet to prevent problems. Bad breath, pawing at the mouth and difficulty eating are some of the more visible symptoms of peridental disease, but there can be more insidious issues such as kidney disease and heart failure. At My Pet’s Vet we have a state-of-the-art dental machine that works exactly like the one at your dentist’s office, and our technicians are trained dental hygienists. Veterinarians wear many hats and dentist is one of them! We can take care of painful dental problems and restore your pet’s quality of life by making them pain free and happy again. 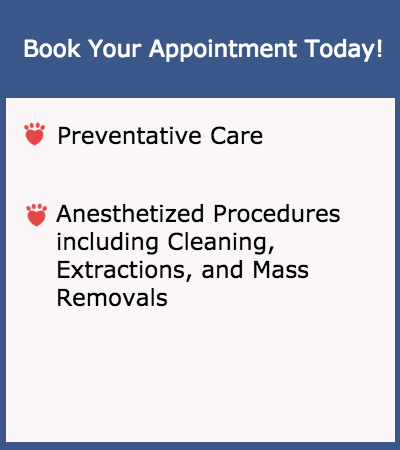 However, we suggest avoiding places advertising non-anesthesia dental cleanings as they are often a scam that do not help your pets and, in many cases, cause harm. Visit My Pet’s Vet and we will answer all of your questions and discuss what is best for your furry family member’s oral hygiene and dental care regimen, because after all, “Pets Are Family Too”!